Prof Dr Stefan Talmon, LLM MA is Professor of Public Law, Public International Law and European Law, and Co-Director of the Institute of Public International Law at the University of Bonn. He is also a Supernumerary Fellow of St Anne’s College, Oxford. From 2003 to 2011 he was Lecturer, Reader and Professor of Public International Law in the University of Oxford, and a Tutorial Fellow of St Anne’s College, Oxford. 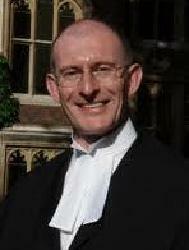 He also practices as a Barrister from 20 Essex Street Chambers in London. He has published seven books and more than 50 articles on public international law. He regularly advises clients on matters of international law and has appeared before the International Court of Justice, the European Court of Human Rights and various domestic courts.